Joe Rufus is a slave girl disguised as a boy for her own safety. After her father is unjustly accused of attempted murder, and sentenced to hang, life goes from bad to worse. With a hunger for revenge, Joe sets out on a quest to find the princess and rightful heir to the throne and to help rid the country of Exmoor of The Gazers. But before she can start on this quest, she must first escape slavery. Will the outlaws help her? Where has the princess been hiding all these years? And where is the missing church minister, Father Abner? 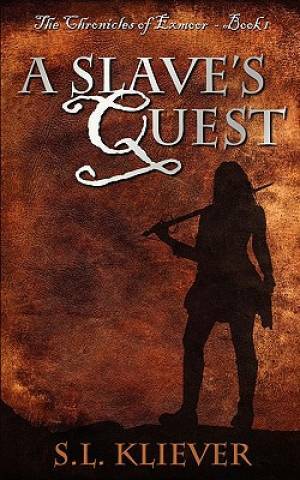 A Slave's Quest by S L Kliever was published by Word Alive Press in March 2011. The ISBN for A Slave's Quest is 9781770691780. Be the first to review A Slave's Quest! Got a question? No problem! Just click here to ask us about A Slave's Quest.